A LARGE chunk of the billions syphoned off in a bogus training schemes fraud occurred under the leadership of current Junta leader Susana Diaz. 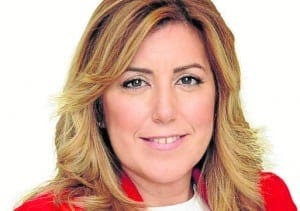 The PSOE’s political rivals in Andalucia insist she must take responsibility for around €800 million of grants fraudulently taken during her time in power. While the Junta president denies this, the conclusion of a year-long investigation could put her position in jeopardy. The results of the probe into the theft of €3 billion from Junta coffers over a ten-year period already demand that former leaders Antonio Grinan faces six years in prison and Manuel Chavez, a 10-year ban from politics. The parliamentary commission examined how money to stimulate employment and train the unemployed was instead funnelled into hundreds of bogus training schemes. Under a disgraceful process, numerous companies were set up to get funds for training that never took place. 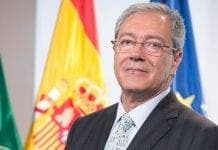 Both Podemos and the PP have accused Diaz of being ‘politically responsible’ for the scams during 2013 and 2015, when an estimated €803 million disappeared. Diaz claims she is blameless as the training schemes were already set up when she took power.